The Jonathan Swift Festival is upon us. Here’s a taste of what you can expect from this gathering of enthusiasts. If you feel the need to run (screaming) from the library, or if the dark and dreary winter evenings have got you down of late, warm your mind and body with all that the the Jonathan Swift Festival has to offer. From November 29th to December 2nd, the festival will provide some respite to those weary of spirit with an exciting range of events honouring one of the most significant contributors to Irish and world literature. 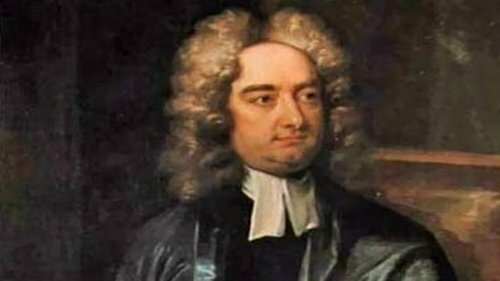 Whether you’re looking for a fun diversion from your essays or whether you want to engage with Swift’s engrossing writing, the Jonathan Swift Festival has what you need. In an email to The University Times, Festival Coordinator Sarah Cleary makes clear the necessity to remember this writer in our time: “In the current climate of fake news, alternative facts and the destabilisation of political checks and balances, satire is often the only truth available … Swift’s imprint upon social politics, as an advocate for mental health and homelessness and his enduring legacy as a champion of the arts as a transformative process, resonates in 2018 more than ever.” Awake your inner giant, then, and partake of the delights and fruits of Swift’s enduring legacy. First up, the Science Gallery is hosting an exciting event titled The Cult Of Science: Are We Losing Our Humanity? on November 30th, at 6pm. If you’re terrified by the growing role technology plays in our daily lives, or just preparing for an inevitable AI takeover, this is the event for you. Look forward to a high-profile debate on whether humanity has been left vulnerable by our over-reliance and worship of technology. Admission is free, but registration is required. Next, on December 1st is the Travel Writing Masterclass in the Irish Writers Centre. This class offers the perfect opportunity to pen a scandalously raunchy and frightfully thrilling travel narrative about that year you spent studying abroad. The masterclass will explore the art of travel writing with the award-winning features and travel writer, Yvonne Gordon. Enough of this intellectual codswallop, you say, where is the event for the Swiftian who enjoys a few pints? Head down to Sweetman’s Craft Brewery at 2pm on either (or both) December 1st and December 2nd to taste 18th century beer specially brewed for the festival. Expect beer tastings and delicious bites served with a side of Swift anecdotes and a dollop of traditional Irish music.